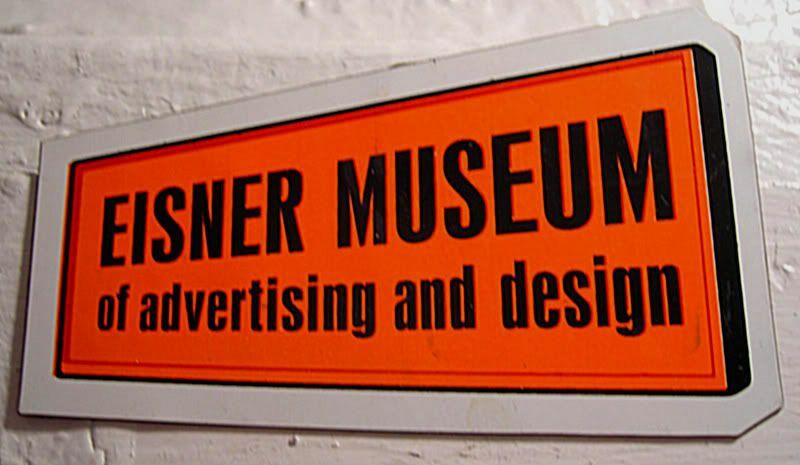 So according to my sister, the Eisner Museum of Advertising and Design is a must-see...the next time I'm in Milwaukee. I figured with this week being Advertising Week and the results from last night's Emmys, this magnet fit pretty well. When Mad Men premiered, I couldn't figure out if I was enamored or horrified watching Don Draper and his associates at Sterling Cooper, and his family a Metro-North ride away. A season and a half, and one Outstanding Drama Series Emmy into the show, and I'm still trying to decide. I'm enamored because the production itself is outstanding - from the acting, writing, and directing to the costumes, the attention to period details, and hair/makeup. I'm horrified because the characters scare the hell out of me - the lies they tell, the deeds they do, the imperfections that make them more human than characters on television. I'm enamored because advertising's the focus - the clients, the pitches, the true-to-life never-ending battle between the Creative and Account folks, and even the tidbits during the commercial breaks are pretty neat. I'm horrified because when I talk to the older guys in the biz, they say they don't need to watch it...they lived it. Whoa. Either way, it's been one of the best shows on television, and a defining one for AMC. They took a chance on what was arguably a show that wouldn't have lasted more than a month on regular network tv. But, AMC kept it on, let the show find and build its audience, gaining more and more traction with each passing episode. And yesterday's Emmy proves that everyone's finally joining the party. Yay for Mad Men! *David Ogilvy, "Father of Advertising"
I LOVED that museum! Speaking of advertising: Did you see the Macy's commercial last night? It seemed like something Don Draper would come up with. Very "The Wheel." Heh.